Where can I send my guitar for repair? We advise you to send your Jackson guitars to a Jackson Authorized Service Center for your repairs. However, not all locations are equipped to handle every type of service issue, so we recommend that you call ahead and verify that the service center can address your specific repair needs. To locate a service center, please visit our Jackson Authorized Service Center information page . How can I buy replacement parts for my Jackson? Although Jackson does not sell replacement parts directly, a selection of parts for current and some older models (depending on the year) can be ordered from your local Jackson Authorized Dealer or Jackson Authorized Service Center. 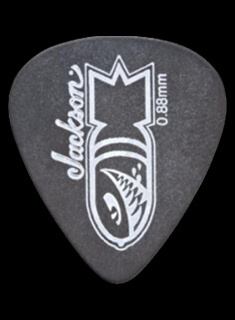 For information and assistance in purchasing parts outside of the United States, please contact the Jackson distributor in your country or region. Jackson Consumer Relations can also be contacted at 1.800.856.9801 or consumerrelations@jacksonguitars.com for additional assistance. How can I replace a broken neck? Currently, Jackson does not sell replacement necks. There are certain cases where a broken neck may be covered under your Jackson warranty, but if the neck broke outside of your warranty, please contact your local Jackson Authorized Service Center to determine if the neck can be repaired or replaced. How do I know if my neck needs adjustments? Inconsistent action and obvious string buzz may be indications that a neck is out of adjustment. Neck adjustments must be done accurately for proper action, intonation and fretting. This is done with strings tuned to pitch. Use a capo to press the strings to the fingerboard at the first fret while using a finger to press the low E string to the fingerboard at the fret at the neck/body joint. Measure the space with a feeler gauge at the 8th fret. The space between the string and the fret at this area should be no more than .020”. If this space measures more than .020”, the truss rod should be tightened in 1/4 turn increments until the space measures within this range. If there is no measured space between the fret and string, the truss rod should be loosened (counterclockwise) in 1/4 turn increments. It’s wise to allow a few minutes for the fingerboard to settle after an adjustment (before measuring again). Personal playing preference will dictate the ideal/exact measurement for each player depending on musical style, playing dynamics and other factors. Neck adjustments should not be attempted unless you are comfortable doing so. Please consult a qualified repair specialist if you do not know how to properly adjust the neck. The Jackson you've chosen is a fine musical instrument and like any high-quality product, care and regular maintenance should be a priority to help your guitar or bass last a lifetime. To keep your new Jackson in top condition, apply guitar polish to a fresh, soft cloth and wipe down the body, neck and headstock after every use. Avoid getting polish directly on the hardware as this will only cause buildup and create the need for additional maintenance. The hardware can be cleaned with a dry rag. If you have acidic perspiration or perspire excessively, please keep the hardware well-oiled or it will rust and corrode. The fingerboard should be cleaned every time you change strings. Avoid the use of window cleaning and ammonia-based products as they will dry the fingerboard dramatically and it will shrink and/or crack, causing the frets to raise up and become unlevel and unplayable. There are many great oils made just for fingerboards, and more information is available at your local dealer. For additional care tips, download the Jackson owner’s manual. What type of finish is on my guitar? JS, X and Pro Series guitars feature a polyurethane finish (urethane on white finishes). USA, Artist Signature and Custom Shop guitars feature a variety of finishes, and more information can be found on each individual product page specific to that model. How do I adjust the bridge? Jackson guitars use an assortment of bridge styles for various models, and the bridge style on your guitar will need to be identified for proper adjusting. 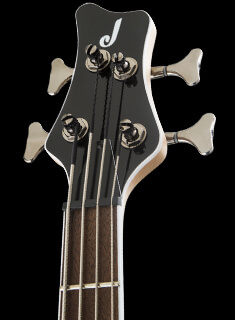 TOM-Style: The string height is adjusted via the two mounting posts on each side, while intonation is adjusted via the individual screws at each bridge saddle. Hardtail: The string height can be adjusted for each individual string via Allen screws on each side of the saddle. Intonation is adjusted via the single screw that attaches the saddle to the bridge plate. Non-Locking Tremolo: The string height can be adjusted for each individual string via Allen screws on each side of the saddle. Intonation is adjusted via the single screw that attaches the saddle to the bridge plate. Tremolo spring tension is adjusted via the two screws on the tremolo “claw” located in the spring cavity of the body. Locking Tremolos: The string height is adjusted via the two posts on the front edge of the bridge. Intonation is adjusted by loosening the saddle lock screw and sliding the saddle forward or backward to achieved the desired intonation point. Jackson Bass Bridge: We use a variety of bass bridges that can all be adjusted like a hardtail bridge. The string height can be adjusted for each individual string via Allen screws on each side of the saddle. Intonation is adjusted via the single screw that attaches the saddle to the bridge plate. What size gauge are they? There is no set rule for how often you should change your strings. If you have strings that are worn, flattened, kinked, corroded, rusted or mucked up with sweat grease and grime, then it is definitely time to change your strings. Otherwise, strings should be changed when they are no longer giving you the tone, brightness and response that you desire. What year was my guitar made? 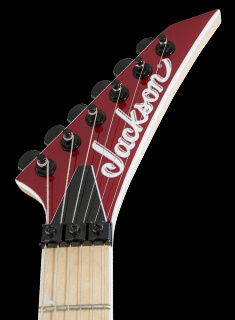 Jackson JS, X and Pro Series guitars that were made from 2013 until present day feature a 10-digit alphanumeric serial number located on the back of the headstock or neckplate. The first two number digits in the serial number identify the year the guitar was created. For example, a guitar with the serial number ICJ1500001 was made in 2015. USA and Custom Shop guitars are typically stamped at the end of the fingerboard for neck-through/set-neck models and are on the neck plate for bolt-on models. However, the serial number on the USA and Custom Shop guitars do not usually indicate the year the guitar was made. Call Jackson Consumer Relations for more information on the year your USA or Custom Shop guitar was made. Unfortunately, we cannot. As a manufacturer of NEW instruments only, Jackson has no direct involvement in the used, collector or vintage instruments markets and is therefore unable to offer or even speculate on the current value of your instrument. A great many variables are involved in assessing the value of used and vintage instruments—such as condition, rarity, desirability, etc.—and the effects of such conditions on the value of an instrument are best determined by a dealer who specializes in the sale of used and vintage instruments. Can I purchase directly from Jackson? No, Jackson instruments cannot be purchased directly. Please contact your local Jackson Authorized Dealer for more information on the availability of our products. Can I order a custom guitar made to my specifications? 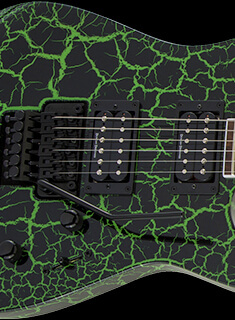 The world-famous Jackson® USA Custom Shop in Corona, California, offers custom build options. Start by downloading the Jackson® Custom Select Order Form and designing your custom build from the options available. Although instruments may not be ordered directly from the Jackson® Custom Shop, we have established a network of Jackson® Authorized Custom Shop Dealers who will give you personalized service on product pricing, options and availability information for Custom Shop instruments.